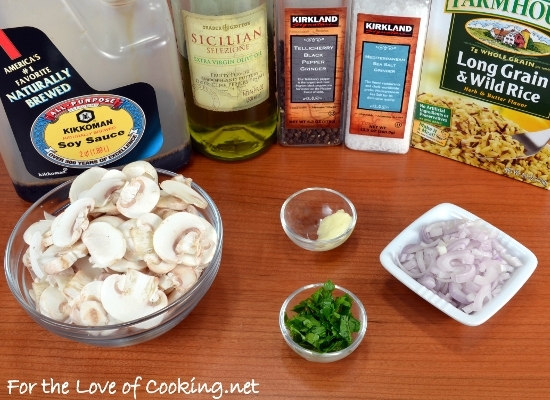 I wanted to make a quick and easy side dish to serve with the chicken I was making for dinner. I grabbed a box mix of wild rice and decided to kick it up a notch. 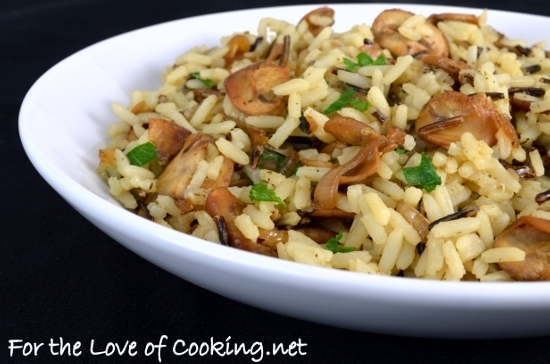 I sautéed some mushrooms and shallots then topped them off with a bit of butter and soy sauce before mixing them and some fresh parsley in with the prepared wild rice mix. 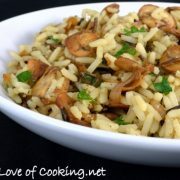 This dish couldn’t have been easier to make and the added mushroom and shallots made the rice taste so much better! This would be a delicious side with our holiday bird. that looks great and very easy to make! This looks delicious, Pam! I love that you turned a box of rice into a special side dish! What a great addition to an already yummy side dish! Love mushrooms and shallots! This looks absolutely delicious! I am now craving mushrooms at 9am. What a great way to dress up a box of wild rice, lit ooks wonderful and it would go with so many entrees. Do you have any tips on how to make rice fluffy? My mom made a lot of boxed rice when I was a kid. I love how you doctored this up! That would have made my childhood dinners so much better. Yum, this looks like the perfect side dish. Mushrooms, shallots and butter? Doesn’t get better than that! My husband recently discovered that mushrooms are not evil and that he actually likes them, I think he would love this. GREAT side dish! 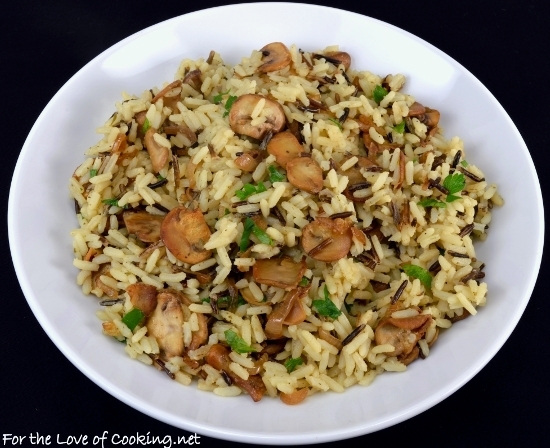 I need to go find the wild rice that I have tucked away in the pantry to make this.